TORONTO — A lawsuit filed by the founder of Canada’s largest automotive parts supplier is seeking $520 million in compensation and damages against his daughter, two grandchildren and others has laid bare a two-year old dispute about control and direction of the family firm. 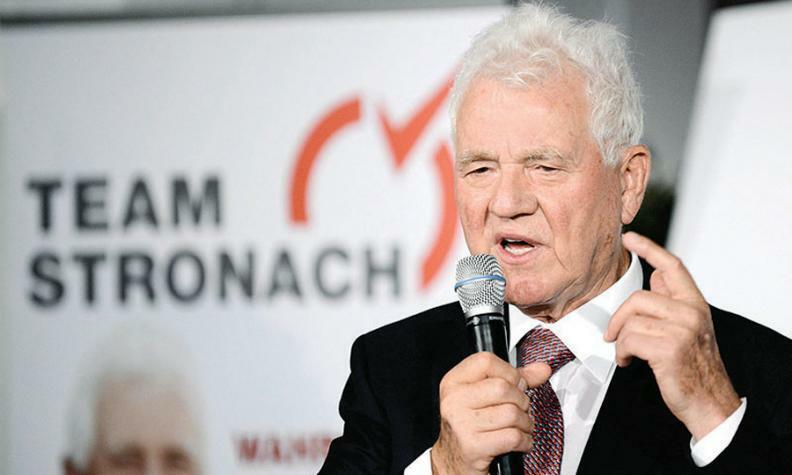 Business magnate Frank Stronach, who created Magna International and built it into a global auto parts giant, alleges in the lawsuit filed in Ontario Superior Court that his daughter Belinda Stronach and former business associate Alon Ossip mismanaged the family's assets and conspired to take control of them. "At the heart of this proceeding lies a series of unlawful actions undertaken by Belinda, together with Alon and others associated with them, to appropriate Stronach family assets for their own personal benefit," reads the lawsuit. The dispute focuses on control of The Stronach Group, the centre of a number of businesses focused on thoroughbred horse racing and gaming that Frank had expanded to farming and golf course development. The suit, which has yet to be challenged in court, paints a picture of a trusting father who gave up control of family trusts in 2013 to serve in the National Parliament of his native Austria, with the understanding that he was still in de facto control and could retake his position when wanted. The lawsuit says that in November 2016 Belinda and Alon looked to cut off funding for Frank's projects including the farming business, and took the position that he had no authority to act of behalf of any Stronach Group businesses nor have access to corporate funds. It alleges that "corporate documents were falsified as part of a scheme...to limit or eliminate Frank's role in running the Stronach family business," and that there has been a complete break-down in the relationship between Belinda and family members because of the repeated breaches of trust. A spokesman for Alon Ossip said the allegations were "baseless and are not grounded in fact or reality." A lawyer for Nicole and Frank Walker, the grandchildren named in the suit, disputed the claims. "Our clients view as regrettable the decision of their grandparents to include them in this action, and consider the claims against them to be unjustified," said Benjamin Zarnett at Goodmans LLP. Frank Stronach said in a statement Wednesday that the couple has made "considerable efforts" over the last two years to resolve the matter and filed the lawsuit only as a last resort.